toppling TBR piles and humongous wish lists. On Wednesday I’ll be posting Books That Caught Our Eye. Serena, Leslie and I will each share 2 books that grabbed our attention from today’s Mailbox Monday post. We hope you’ll join us by posting a comment letting us know the books that caught your eye. I just was able to post my Mailbox Monday now. 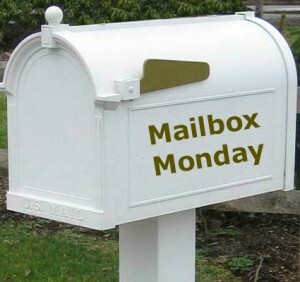 Hope everyone had a great weekend and a great mailbox.